Physical Education is one of the foundation subjects of the National Curriculum. As exercise activates your brain, learning in other subjects will also gain from PE. Encouraging an enjoyment of physical activity is a responsibility we also have in response to health issues in our rapidly changing world. At Cubbington CE Primary School we recognise the importance of Physical Education in education and lifestyle. Providing further opportunities for all children to have access to high quality sports provision. Enabling those more able in sports, a way of further developing their skills to ensure the country has a strong succession of future Olympians. This funding over the past years has allowed us to create some exciting developments which have benefitted all children at school and those more able in sport. Working in collaboration with the School Sports Partnership and the local cluster of schools, we have always entered children into many sports competitions. However, with Sports Premium, we have been able to extend the competitions we can enter, and vastly improve the skills and outcomes of those children in our sports teams. We want Cubbington to not only provide an excellent sports curriculum, develop excellent sports teams at competitive levels but also ensure that competition is accessible to all children at our school. To increase sports participation at competitive levels for all children. To develop highly talented children in sports, who are able to secure more 1st, 2nd and 3rd places in competitive sports. We feel that these areas are very much in keeping with the Olympic Legacy, and aligned to recent government initiatives and we hope you will join us in celebrating the impact the Sports Premium brings about. 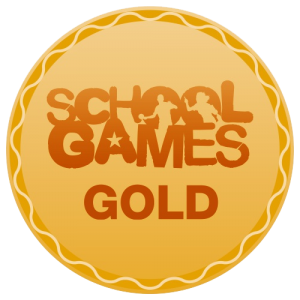 We have been recognised for our passion for Physical Education for all children at Cubbington by gaining the gold School Games Award two years in a row, 2016-2017 and 2017-2018! Cubbington CE Primary, with the funding from Sports Premium, is able to develop staff expertise in a range of sports by using a range of coaches and providers: Leamington Brakes, the Chance to Shine cricket programme, Troy Perkins linked with The Wasps rugby, Element Yoga and Advantage Sport. We have always provided great swimming provision at Cubbington, historically using the local swimming pool at Newbold Common. In 2014 we changed our swimming provision and started using the facilities at The Excel Centre in Coventry. All the children in Key Stage Two now receive swimming delivered by qualified instructors at The Excel Centre. Our more able swimmers have much more time developing a higher level of skills, furthermore children who cannot swim or lack confidence in this area now receive a longer time swimming than in previous years. To ensure all children know how to stay safe in water by obtaining the Aquarius Swim School Personal Survival Award. To ensure all children are able to swim at least 25m by the time they leave us in Year 6, through following the Aquarius Learn to Swim Framework. Year 3 and 4 take part in our school swimming programme for a term, usually in the summer, for which there is a contribution of approximately £43 per child. At the end of each year of swimming a letter is sent home stating what stage the child has met with some detail and if they have not yet met the NC standard. For those children in Years 5 and 6 that do not meet the NC standard of being able to swim 25m an additional top-up programme is provided. As this is additional to the swim programme we are able to use some Sports Premium funding. We run a wide range of activities to stimulate and engage the children. The after school activities are run by outside clubs. All these activities are run on our school site: handball with Simon Keell through Advantage Sports, boys and girl’s football with Leamington Brakes, Fit to Dance Street Dance club delivered by Liz England and athletics with Leamington Brakes. Our PE crew, PE Sports Ambassadors support our PE Apprentice and Leamington Brakes to provide the children with some exciting fun at lunchtimes. Cubbington CE School is involved in Marathon Kids, a project from the children’s charity Kids Run Free. The children at school have the opportunity to complete a marathon throughout the course of the school year by running laps of our field and playgrounds. It is based on personal achievement rather than competition. The PE crew and Ambassadors run the club alongside other lunchtime activities. At the beginning of the year the School Sports Partnership Co-ordinator for our area trains all Year 6s as play leaders to support all children at lunchtimes. We are closely involved with our School Sports Partnership for the Central area and involved in The Sports Ambassador and Leadership programmes. Every year we enter Level 2 School Games competitions ensuring as many children as possible across the school are able to participate in a range of sports, including inclusive events and new sports. At Cubbington we have close links with our school cluster providing the children with other opportunities to compete with children in our local area in festival days and competitions. Sports days take place for the children on the school fields. KS1 Sports afternoon takes place in July with a mixture of competitive and non-competitive sports. This is a fun afternoon for the whole family. There is a KS2 Sports afternoon that takes place in June before the area athletics in July. There is a mixture of competitive and non-competitive sports and families are welcome to come and spectate. Children are placed into house groups for the non-competitive fun races and a cup is awarded to the winning house.